Looking for stamps to express your unique style? Check out Stampotique! Opening 1996 in Phoenix, Arizona, Stampotique has an extensive line of stamps including text, image and texture stamps. We love to showcase stamp companies. 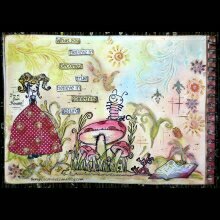 Click the link below and check out Stampotique’s stamps along with some great project ideas!